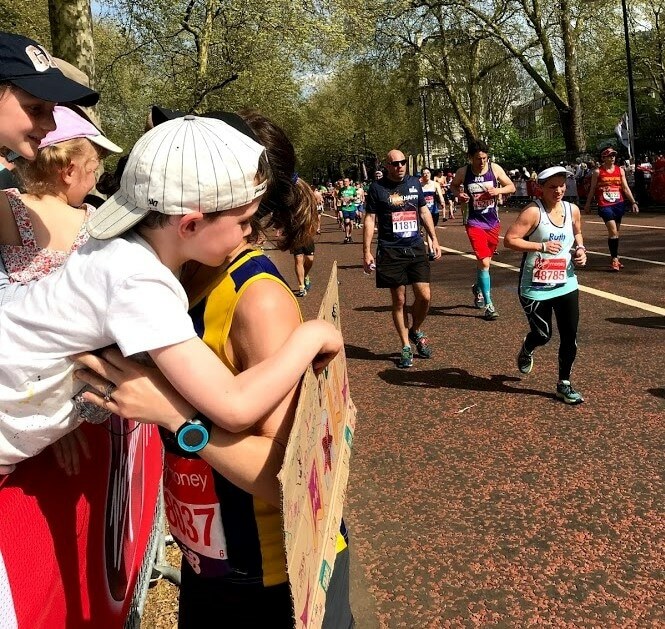 It’s a big date for the 40,000 people who run the 26 miles, but equally it’s a big day out for tens of thousands of friends, family members and supporters who come to central London to cheer the runners on. Although lot of focus (rightly) goes into preparations for the runner, it’s important to have a plan for spectating too. London gets horribly crowded which can be overwhelming for supporters. Tube stations are particularly busy with Marathon organisers implementing one-way systems for spectators to shuffle through – this make some areas extremely claustrophobic. Knowing what to expect will help you choose the perfect location and give you the best chance of seeing your runner at least once on the day! If you use a wheelchair, the best place to go is The Highway which is between miles 13 and 14, and then again between miles 21 and 22. A free and dedicated disabled parking area is in the playground of Bishop Challoner School – access is via Commercial Road and Steels Lane. Ramps allow smooth access for wheelchair users from here. For older supporters and those who might need to periodically sit down – pace yourselves. Don’t try and do too much. Just choose one point in which to settle yourself and watch the runners from there. I always choose a nice shady area in St James’s Park, slightly raised so I can watch in comfort from a bench or picnic rug. Food and water for yourself and the runner. Mobile phone with London Marathon app installed (details below). Picnic rug if you choose to go to a park. Hat to protect you from the sun/or rain mac/or both! Suncream, plasters, sugary snacks, asthma pump if prescribed one. Layers for you and a runner, if you are meeting them post-race. Bring the runner’s extra layers with you. Make sure they are properly covered with these or the foil blanket. Snacks such as a banana, nuts or energy bar – gently offer these to the runner but don’t offer them anything too large. It is advisable not to encourage major high-energy conversation or celebrations immediately after the race as they are likely to be exhilarated but exhausted. There is an official Virgin Money London Marathon 2019 app that can be downloaded here. It’s extremely helpful. We recommend downloading it the week of the Marathon as it has advice leading up to the Marathon (such as about the registration event that precedes the race), as well as being a tracker: just search the last name or number of the person you want to track. You can use the app to track the runner you’re looking for the whole day. The app will display the leader board positions of celebrities and professional runners’ results too. It also has locations of all the distance markers, points of interest, first aid points, drinks stations, live bands and pub venues along the course. It can be a mistake to go rushing around various viewing zones as the crowds are intense both above ground and in the tube stations. Our advice is to pick one place and stay there, as you’ll still likely be going to meet the runner at the finishing area. A great option for a family or group day out is St James Park. It’s got plenty of green space, shaded areas and is much less crowded than areas such as Canary Wharf. It is near the very end of the Marathon, so you will be near to the finishing area to meet your runner afterwards. Bring lunch (as you will likely be out till 3 or 4pm) and plenty of snacks with you. A lot of energy is exerted whilst rushing around London and it can be exhausting to be in a cheering crowd for so long! Don’t underestimate the energy you will expend – even if it seems trivial in comparison to running the marathon. Water is also vital, especially if the weather is likely to be hot. It is possible that a panic attack could be triggered by the crowding and one-way systems. If you’re prone to claustrophobia, you may want to carefully consider your spectator position. Perhaps opt for a park or a more open area. If you start to suffer an attack, recall your breathing exercises (read more here) and take slow sips of water. My pregnant niece suffered from this last year and fainted – she ended up having to be carried out of the crowds and through the race itself on a stretcher! Thankfully she was fine in the end, but the heat last year meant that heat exhaustion was a common occurrence among spectators. To prevent this happening to you make sure to drink plenty of fluids, take breaks in shaded areas or where a hat, eat enough throughout the day and rest when you feel tired. If you feel faint, dizzy, floppy, exhausted, sweaty make sure you cool down as soon as possible. Heat exhaustion can cause stomach cramps, nausea, vomiting, headaches and fainting. Key advice is to get out of the sun to somewhere cooler. Take regular sips of cool water or an isotonic sports drink. If you don’t feel better, seek medical advice. There will be first aid stations run by St John’s Ambulance service around the Marathon route. Due to London’s high pollution levels, especially on busy roads (even if they are temporarily closed to vehicles) and pollen in the air, someone with asthma may be more prone to an attack on Marathon day. Always carry an inhaler with you if you are prescribed one – or if your child has asthma, make sure they have their pump to hand. Carry a spacer with you, too. 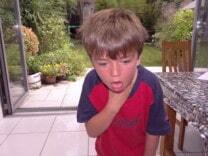 For more information on asthma attacks and how to help in case of an incident, click here. Warn your children about how crowded the streets will be, especially if they haven’t experienced a similar event before. Make sure they know to stick by you and ensure they are carrying your phone number in case of an emergency. Ensure you have agreed a designated meeting point at each watching point. Hold the children’s hands tight and try and avoid the most crowded tube stations as they become extremely hot and unpleasant, particularly if you are at child height. Have an early dinner with the runner – make sure the meal is centred around carbohydrates such as pasta, rice, potatoes or bread. A meal idea could be pesto pasta with chicken, which provides energy and protein in an easy to digest form. Allow time for relaxing (the mind and body) before an early bedtime. Make sure everything is prepared for the next day. Before the marathon, designate an area to meet up. The closest tube station to the finishing area is St James’s Park. This will be extremely crowded with marshalled crossing points which means it will take quite a while to reach the finishing area. Victoria, Charing Cross, Westminster and Embankment stations are a little further away but will be less crowded and a more pleasant walking route. If you can’t come into London or simply prefer to avoid the crowds, there are plenty of options for keeping up from home or whilst on the move elsewhere. The marathon is broadcast on BBC television with live commentary for its duration. BBC 5 live radio also remains marathon-focused throughout the day. St John’s Ambulance services will be available nearby if you think medical help is necessary. Don’t hesitate to ask their advice if you have any concerns. As a supporter, you will have been a vital part of a runner’s achievements – whether you helped them find time to train through preparing meals, taking on housework chores, or simply tolerating a certain amount of running-oriented conversations! Thank you for everything you’ve done and enjoy the Marathon day and an end to the intensive training period! 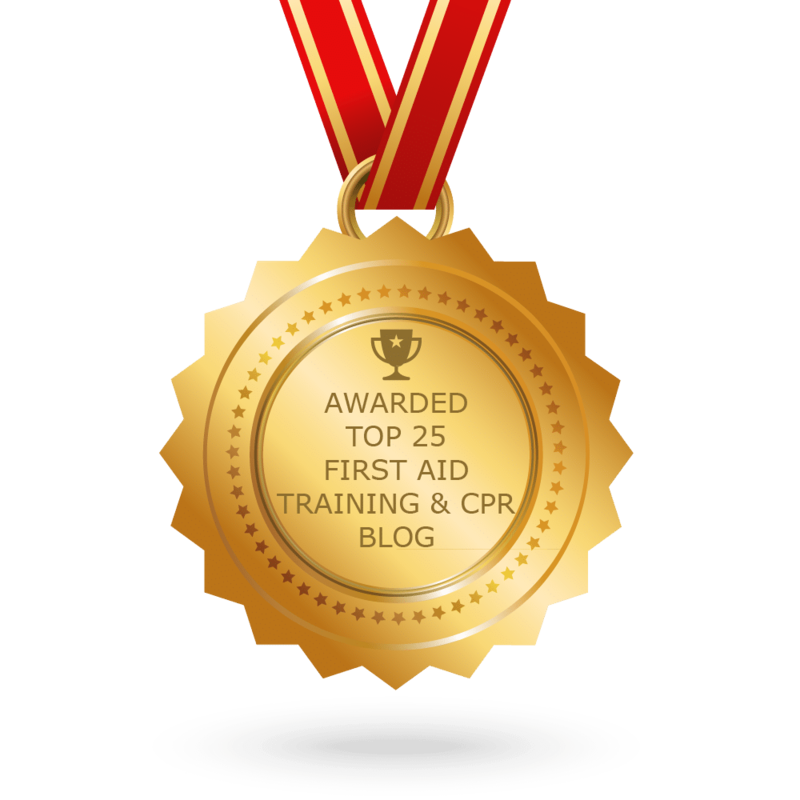 Email: emma@firstaidforlife.org.uk or telephone 020 8675 4036 for more information.